A program logic (also known as outcome model, outcome logic, logic model, or outcome hierarchy) sets out what a project will do and how it will do it. In other words, it represents a project’s theory of change. The program logic does this by visually representing a linear sequence of steps that need to occur for a project to meet its desired outcomes. This generally consists of identifying the inputs, activities, outputs, and outcomes (from immediate, to long term). 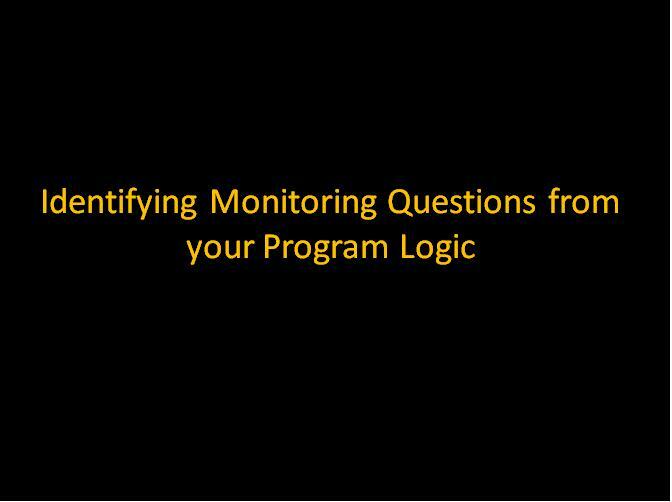 An important component of program logics is the identification of assumptions that link steps. Though a program logic tends to reduce a complex problems into linear steps, it does provide a road map for your project. From this roadmap, you can monitor whether you keep to the road, or deviate, and if you do deviate, why this may have occurred. This presents a valuable learning opportunity for any project. A program logic should not replace a detailed project plan, but rather inform your project plan. A project plan will generally have more detailed steps and tasks than a program logic. 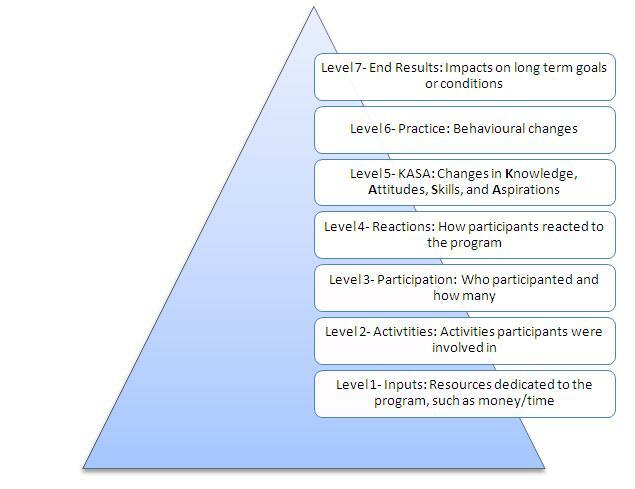 Provides a clear a clear summary of the project, including the outcomes hierarchy. A linear (means and end) representation of a problem and solution may be inappropriate for complex cases unless assumptions are identified and tested. Assists in identification of appropriate indicators. 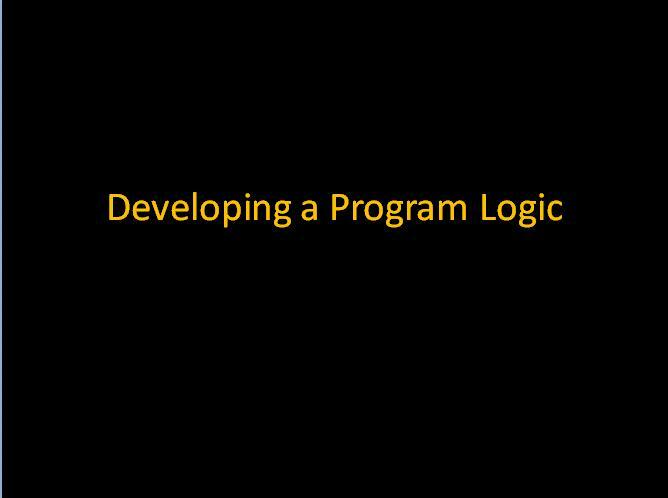 Why is a Program Logic Important? Provides a common road map for the project team and other stakeholders to follow, or at least be guided by it. By clearly identifying the immediate and intermediate outcomes in a program logic, you are able to monitor whether you are on track, and evaluate the likelihood of continued success, or the need to take corrective action. Allows the logic of the project to be questioned and challenged, and helps identify assumptions that link steps together. Strengthens the end project design by clarifying what tasks need to be undertaken and whether new tasks are required. Provides a basis from which to identify relevant question and indicators to develop a monitoring and evaluation (M&E) plan. A program logic should ideally be developed in the project planning stage. This allows you and other project stakeholders to clarify how a project will achieve the desired change, and what needs to be delivered to achieve the change. When retrofitting a program logic onto an existing project, you are able to identify whether the deliverables identified through the program logic match what you are intending (or are) delivering, and make changes to your delivery plan accordingly. A backcasting approach is used to develop the program logic. This involves identifying the long-term outcomes of the project and subsequently working backwards to identify the necessary steps required to achieve these outcomes. 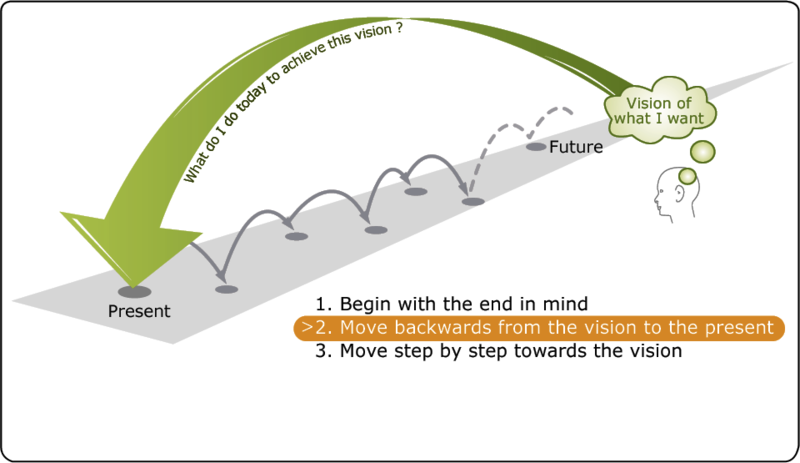 The benefit of backcasting, compared to forecasting, is that it allows you to think through what is needed to create the future, rather than thinking about what is currently happening and trying to predict the future. A running sheet for a workshop to develop a Program Logic is available here. A facilitator to guide the discussion, prompt questions, summarise themes, and ensure everyone has a say. The facilitator should ideally have an understanding of behaviour change theories, models and frameworks to guide participants in developing a logical model. The facilitator or someone else will also need to document the final program logic (using a computer or paper copy). DoView® is a special software package to develop program logic or outcome models. MS VISIO or other programs may also be useful. The following presents a summary of the steps in undertaking a program logic workshop. A detailed running sheet is available to download from here. A template (A3 size) to help you develop a Program Logic is available here. The facilitator guides the participants through the program logic workshop. The facilitator should explain what a program logic consists of. The facilitator, or someone close to the project, may also want to set the scene by providing an introduction or background to the project. It is recommended that the stakeholders establish the baseline state (how things are currently) and follow this up by agreeing on a project goal (a goal looks at the general aim of the project, or program that the projects fits in). Participants are then able to determine the gap or need(s) between the current situation and intended goal (see Table below). The need is then responded to with agreed actions or activities that would allow the need to be met and the goal to be realised. The facilitator commences by getting stakeholders to identify the long-term outcomes of the project. Long-term outcomes generally refer to changes in environmental, social, or economic aspects (eg. reduced household water use). Long term outcomes are often beyond the funding timetable of the project. Once these are identified, the facilitator asks the stakeholders to identify the intermediate outcomes. Intermediate outcomes are usually changes in actions or behaviour or policies that lead to the long-term outcomes being achieved. These may be attained by the end of the project. The facilitator asks the stakeholders to identify the short-term outcomes. Short-term outcomes are usually changes in knowledge, attitudes and skills that lead to the intermediate outcomes. The table below represents an outcome hierarchy presented vertically. Alternatively, it can be presented horizontally. The stakeholders are then invited to consider the outputs, or services or products that need to be delivered in order for the short term outcomes to be achieved. Outputs can include workshops, brochures, meetings, and the like. The stakeholders then identify the activities that lead to the outputs. Identifying activities generally involves a rewording the output into an active task (eg, hold workshops, develop brochures etc). Activities assist in filling the gap that exists between the current state, and help deliver on the identified need. 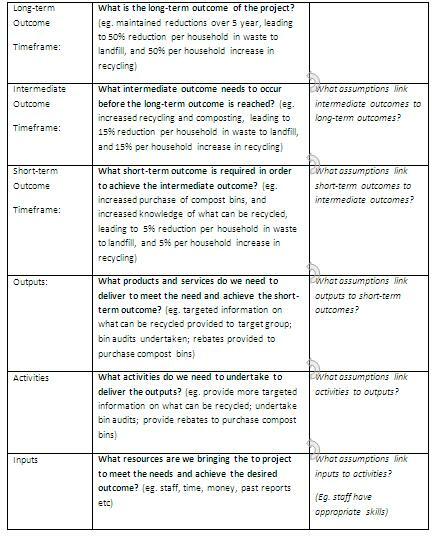 On completing the program logic, stakeholders can be asked to review the logic behind the means (activities) and ends (outcomes) and discuss whether the theory of change makes sense. Once finalised, the program logic can be entered into a software program and distributed to the stakeholders. An optional component of the program logic workshop is to work with the stakeholders to identify monitoring questions and relevant indicators for particular steps of the project. 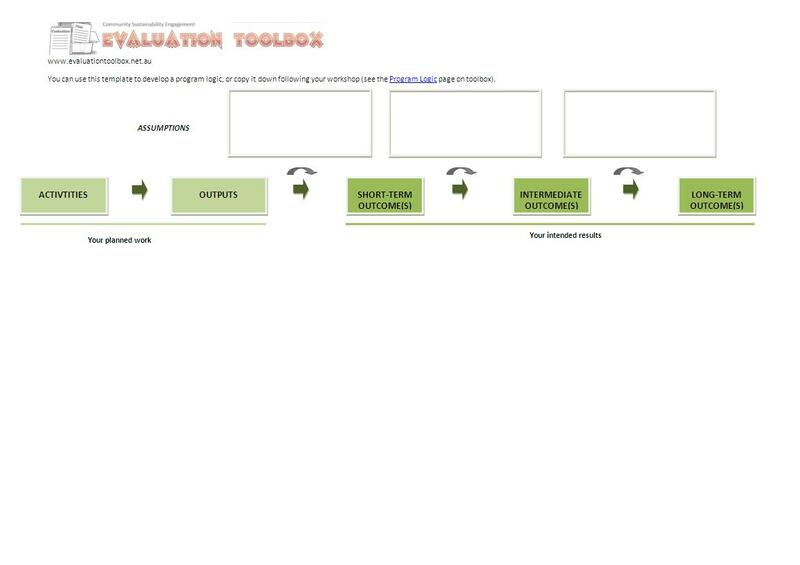 To see how to develop a monitoring and evaluation plan, click here. Bennett’s Hierarchy provides a similar approach to project planning and evaluation to that of program logic. It provides a process that links project development to performance by examining the chain of means (what you do) and ends (the desired result of your actions) through seven levels.